Experience the workout in full color: This high definition 10 in (25.4 cm) touch screen adds tech luxury to this machine. The tablet is where the workout comes to life, with real-route simulation by iFit® and Google Maps™, and customized workouts that never lose sight of personal fitness goals. 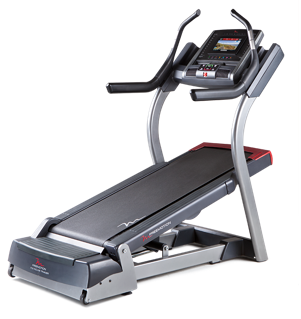 The ideal treadmill for a HIIT workout or functional training, with 1-STEP™ controls you can quickly adjust speed, incline and decline with convenient console controls.